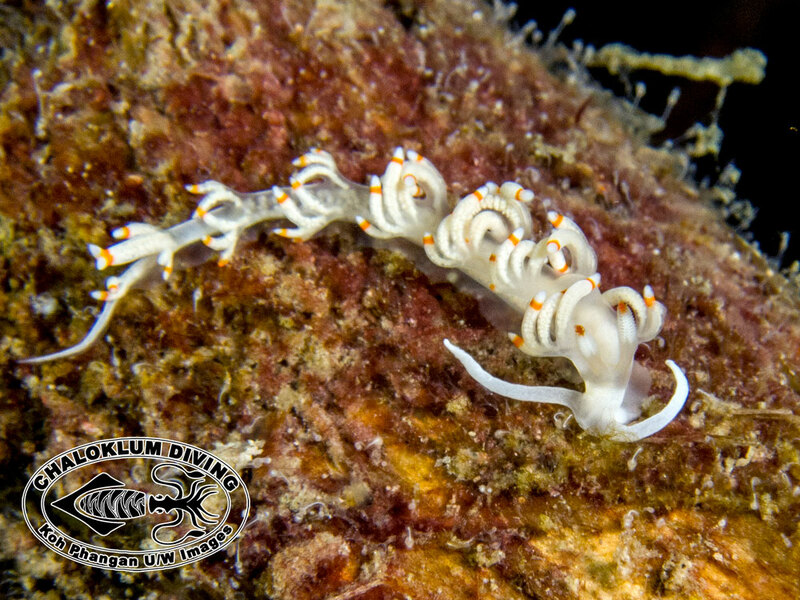 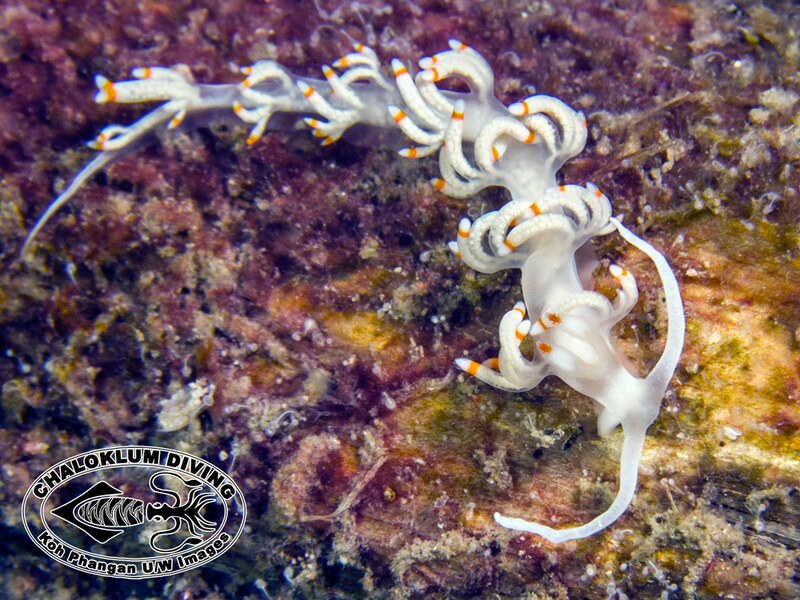 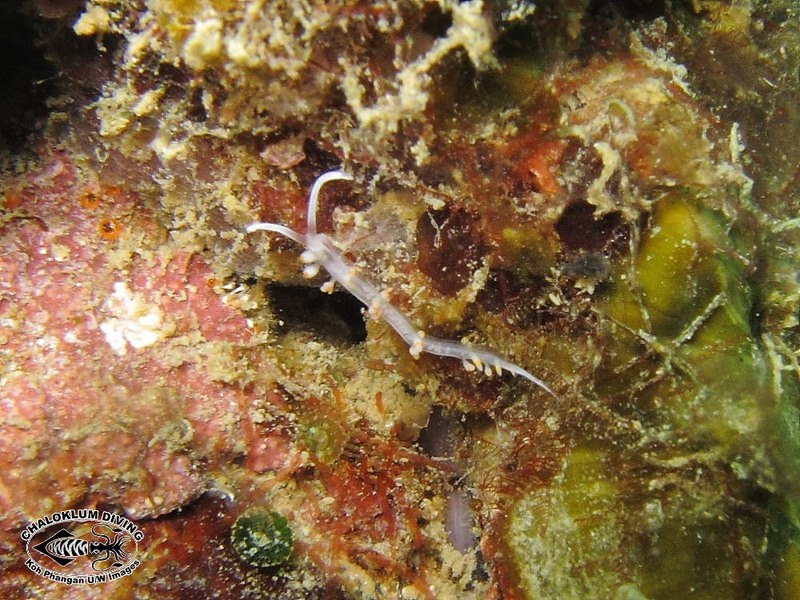 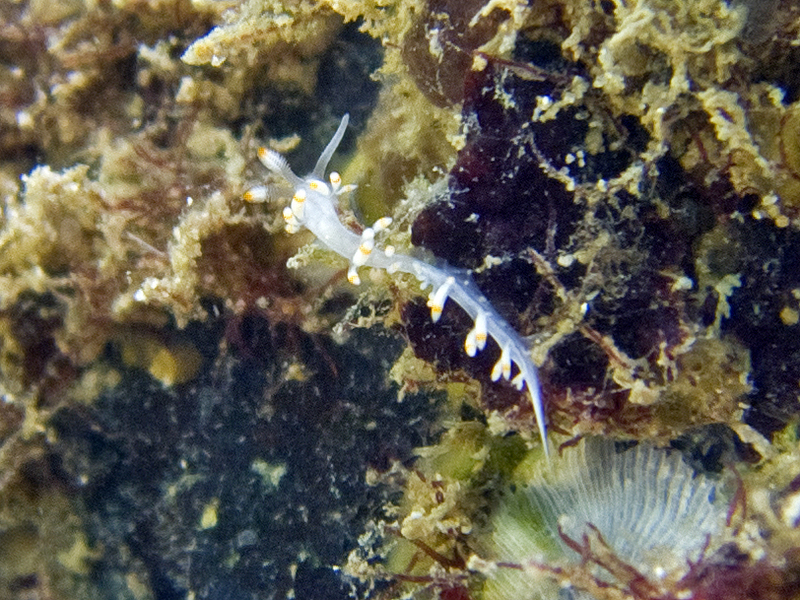 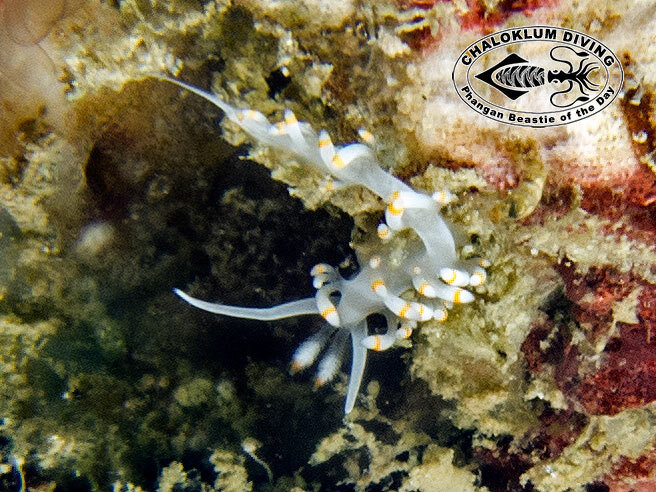 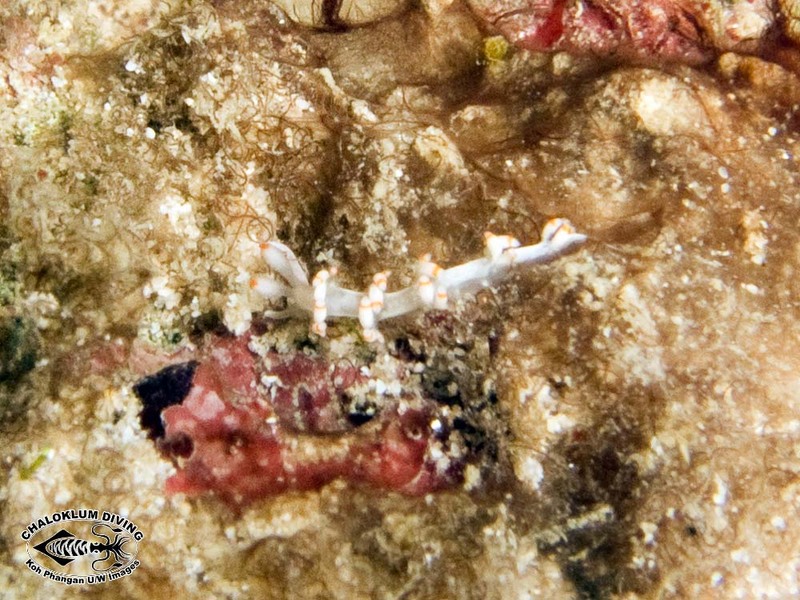 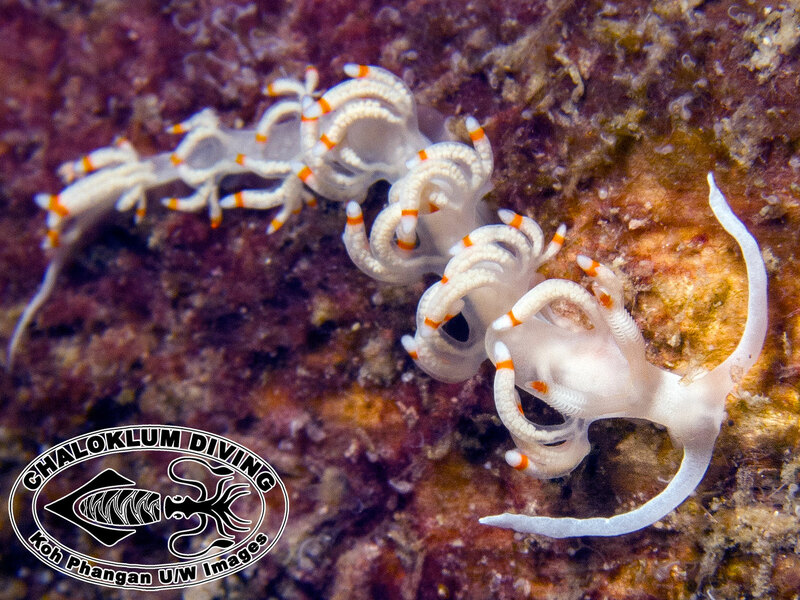 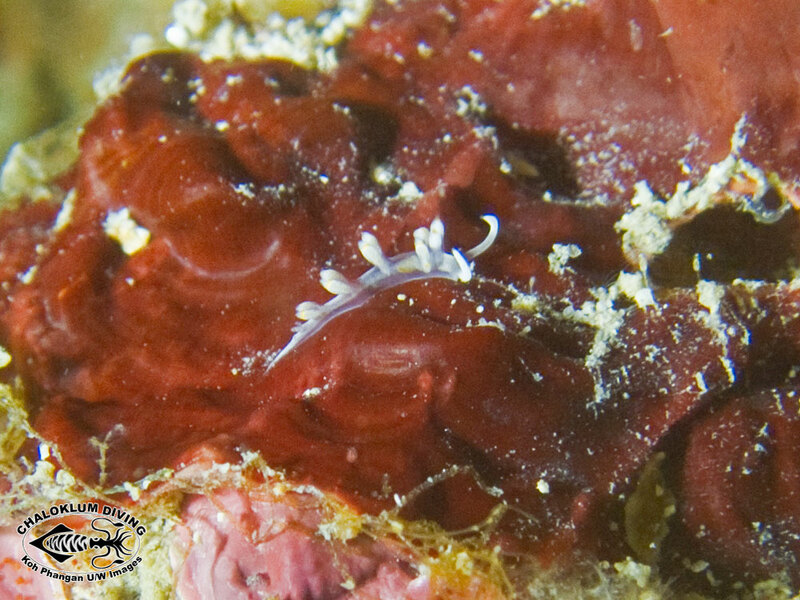 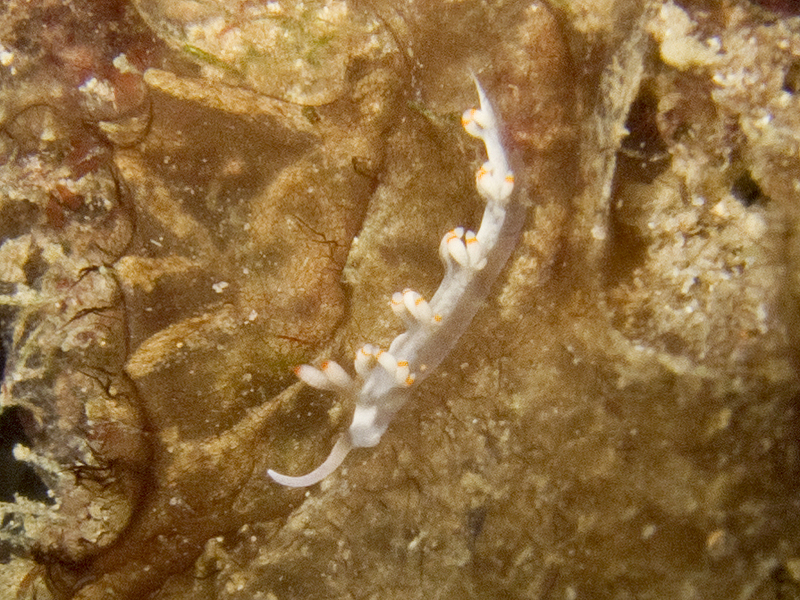 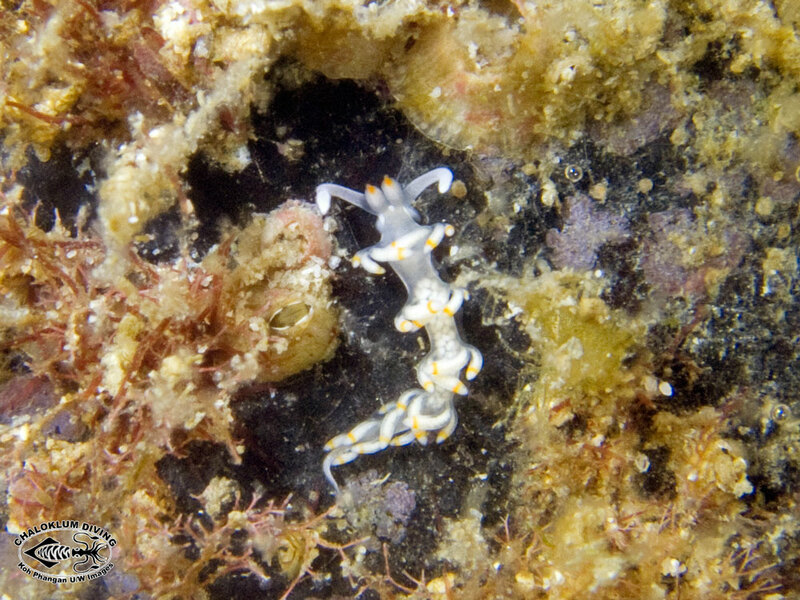 It’s possible to find juvenile Samla bicolor Nudibranch of less than 1cm! 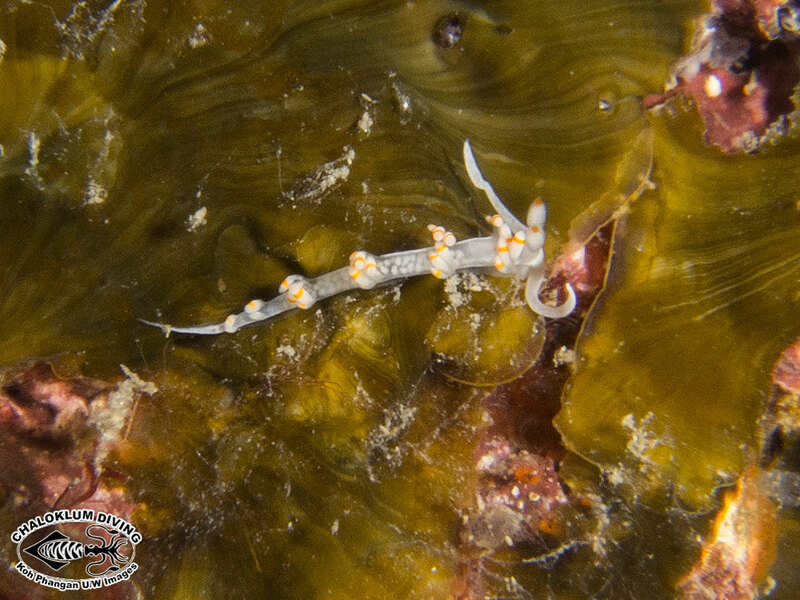 They are fast moving and relatively common on many of our dive sites (when you can see them!) 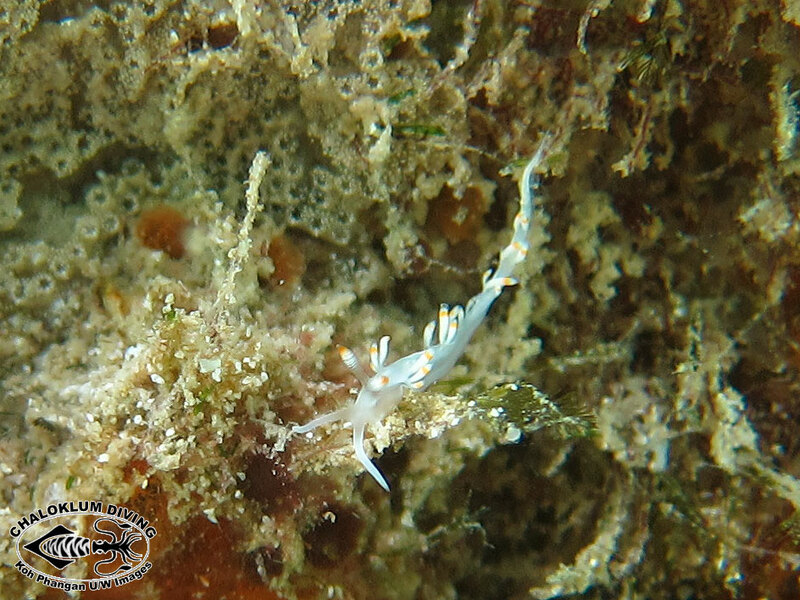 Spotted only on slow scuba dives; definitely not possible when snorkelling.